KUVO Studio Club: David Amram & Friends! 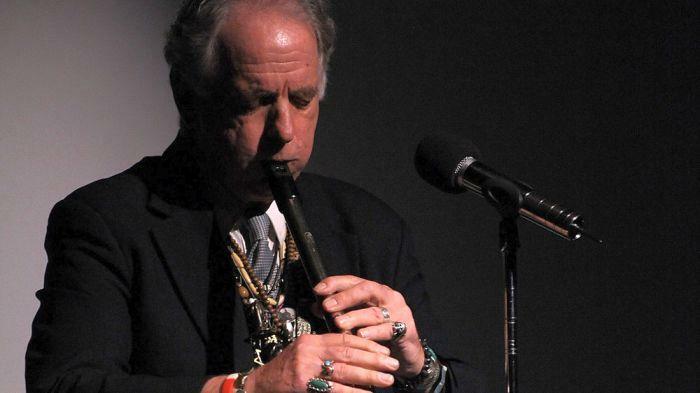 Studio Club members, join us in the Phyllis A. Greer Performance studio on Friday, February 9 at 5 p.m. when composer, poet and author, jazz French hornist, renaissance man David Amram returns to Colorado for the 9th Annual Neal Cassady Birthday Bash. He’ll spend an hour with his quartet, singing, talking, playing and otherwise improvising. Amram lent his music to the beat poetry of Neal Cassady and Jack Kerouac back in 1950s Greenwich Village. Amram was part of the soul and sound of the films that came out of that era. Of course, Amram didn’t stop there. His compositions have been the fare of symphonies, operas and film soundtracks, including “The Manchurian Candidate,” “Splendor in the Grass,” and so many more. Studio Club Members: Please contact Arvida arvida@kuvo.org to reserve seats for you and your guest. Not a member? Click HERE to learn more about KUVO's Studio Club.